John and Sally have found their dream home in Westboro. Listed at $425K, it is just within their price range. They have been pre-approved to carry a mortgage of $340K and they have $85K saved for a down payment. They worked hard to save the 20% required to avoid CMHC default insurance premiums. Their lender has approved them based on a 80% Loan to Value ratio. Sounds as though they can go ahead and purchase the home without needing a financing clause in the offer. But should they waive the financing? 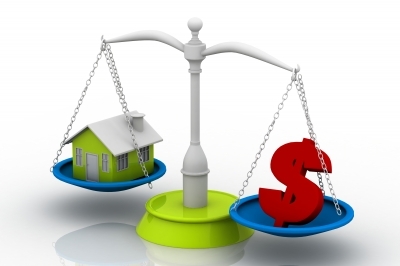 Obtaining adequate financing for your new home purchase can be a balancing act. The financing clause in an offer to purchase is used to protect the buyer and it covers all aspects of obtaining a mortgage that is SATISFACTORY to the buyer. This means that if the buyer is not satisfied with the rate, term, or bank appraisal of the home, they are able to walk away from the purchase and receive their deposit back in full without penalty. John and Sally for instance, could walk away from their purchase if the bank were to appraise the home for less than their initial offer to purchase. b) the agreed upon purchase amount. Banks will often perform an independent appraisal of the property being purchased before approving the loan. Appraisers do not consider current market conditions, emotional purchases, and what is currently for sale. When they value a home, it is mainly based on objective observations of previous sales in the area that are of similar size and condition as the home in question. When there is a limited supply of homes and the demand is high, multiple offers and bidding wars take place in desirable neighbourhoods. Homes can sell for $40K – $50K (and even $100K!!) over the original asking price. A financing condition protects the buyer against a bank appraisal result that is lower than what they have offered for the home, as well as other financing related issues such as interest rate changes and mortgage fine print. Now John and Sally will need an extra $12,000 in order to satisfy their lender’s borrowing condition. Can they afford this home? In order to avoid delays and possible disappointment, buyers should do their homework BEFORE embarking on a home search. Get properly pre-qualified by a bank or lender. In order to get an accurate pre-approval, your lender will need to run a credit report, do a review of your employment history including your latest T4 slips, Notice of Assessments, and pay slips. Due diligence in the beginning will save you time and effort. Using a simple online mortgage calculator IS NOT ENOUGH to assess what you will be approved for when it comes time to satisfy your financing condition. Doing all of these things before making any offers to purchase property will help you find a home that is within your price range and will keep you from potentially overpaying for a property in cases where emotions are running high. Your agent has taken you to a beautifully renovated home in your preferred neighbourhood. The renovations look solid, you have received copies of building permits from the seller and the work was completed by a reputable builder. Do you really need to include a Home Inspection clause in your offer? Is the cost of an inspection worth it? You love the home and the neighbourhood, so will the inspector really say something to you that would make you walk away from the home of your dreams? As a buyer, including a Home Inspection clause in your offer to purchase is a great way to protect your interests. Having a home inspection before signing the final contract can also allow you to negotiate any findings into your deal. If the roof needs replacing for example, you could ask for an allowance from the sellers to pay for the repairs. Should you change your mind about having an inspection afterwards, you are able to waive the condition at any time, but if the condition is not included in your offer, you cannot insert it later. Aside from pointing out what may be obvious problems such as a home needing a new roof due to peeling shingles, a home inspector can detect the less obvious, but just as costly issues with a home. Problems with the foundation of an older home can be very expensive to fix for example. Although that beautifully finished basement was not a DIY project, as the buyer, you may want to know if the foundation was properly waterproofed from the outside. If not, the moisture that can potentially find it’s way into the basement will not only ruin the new reno, but may cause other more serious issues such as mold. Keep in mind however, that just because a house you are considering needs repairs, it doesn’t mean you shouldn’t buy it. Nearly every home will have a list of jobs to do in order to get it into perfect shape. It becomes a matter of how much work you are willing to take on, and how much you are willing to spend. A home inspection will help you determine whether you want to move forward. 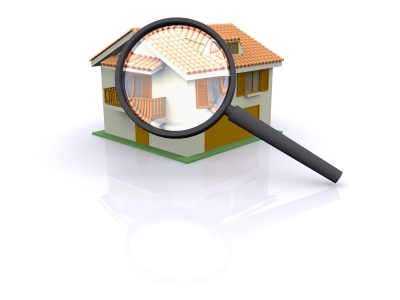 Buyers interested in new homes or condos sometimes hesitate to spend the money on an inspection. They shouldn’t. Even in those scenarios, a home inspector will give the potential buyers lots of great tips regarding the maintenance of the components of their new home. Things such as changing of filters in air exchange units in condos on a regular basis for example, are important things to know to keep your new purchase in the best condition possible and avoid unnecessary problems in the future. A typical home inspection will cover the condition of the home’s roof, attic and visible insulation, walls, ceilings, floors, windows, doors, air conditioning system (temperature permitting), interior plumbing and electrical systems, the foundation, basement and structural components. required to move those items and is also not liable if he misses the problem. As well, they are not required to inspect systems that aren’t readily accessible – such as those located behind walls or under carpeting. This includes the presence of molds or other damaging organisms such as carpenter ants. The key is to hire the RIGHT inspector for the job. Just as with any profession, it is a good idea to hire a specialist – someone who is experienced in the type of property in question. Inspecting a century old home in the Glebe is not the same work as inspecting a new condo unit. Also, make sure that your home inspector has the communication skills to clearly explain how the building was constructed, and that you will understand the potential health or financial impact of any defect or issue. Since a home inspector cannot be held liable for any deficiencies that were missed during the inspection, you should do your due diligence when deciding who to hire. Just like hiring the right agent can help you find the home you love, hiring the right inspector can help you avoid ugly surprises after you have taken possession of your home. If you have other questions that can be useful to ask of your home inspector or if you have had an interesting experience with a home inspector, please share your story here. Other home buyers are sure to benefit from your experience. View Comments or Leave a Comment for this post.